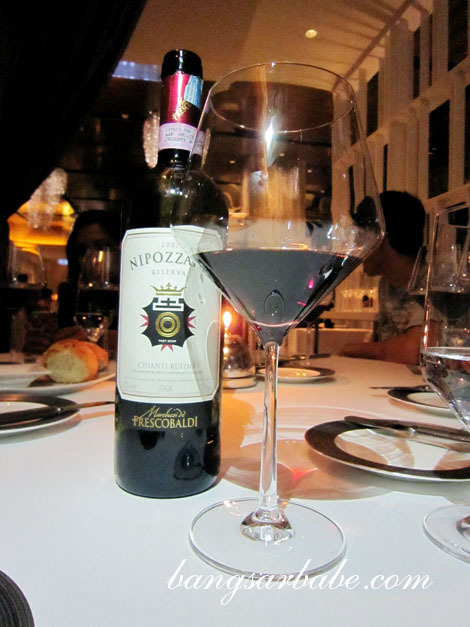 Michelin Star Chef, Igor Macchia was in town recently and I attended a dinner which featured six of his dishes paired with Frescobaldi wines at Mandarin Grill. 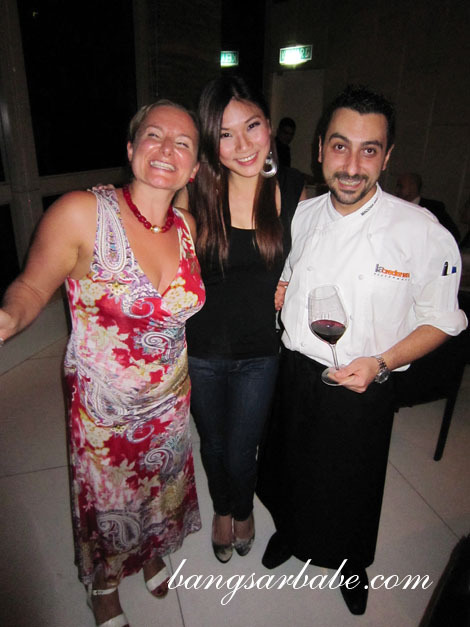 Igor has travelled the world to promote authentic Italian cuisine and explored the local food and culture while at it. 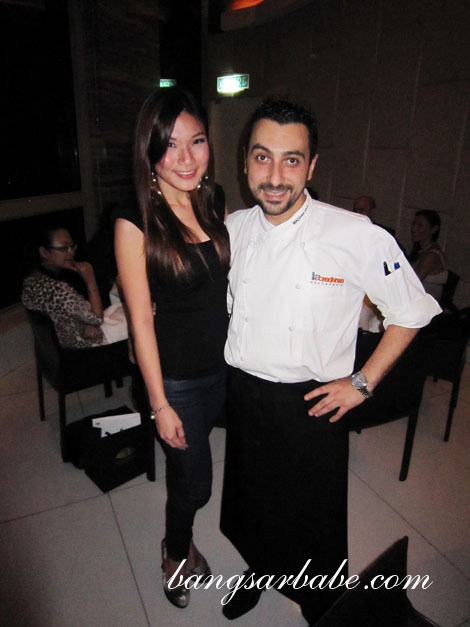 His restaurant “La Credenza” in Piedmont Northern Italy received a Michelin star for his clean approach in cooking. Dinner started with the grilled squid and fried prawn with ginger and potato sauce. 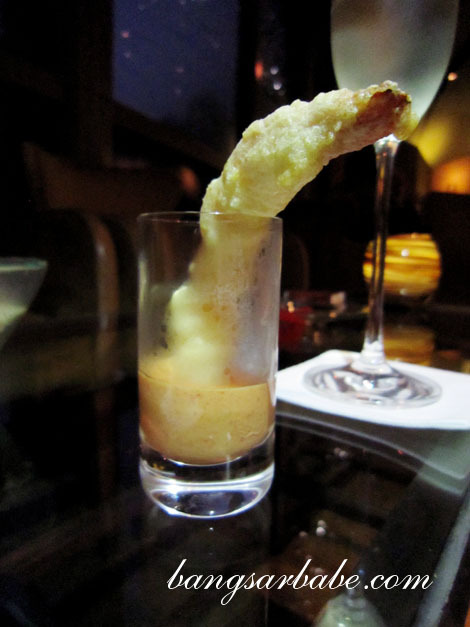 Flavours were kept simple – the squid was tender while the prawn was crisp on the outside with a succulent centre. 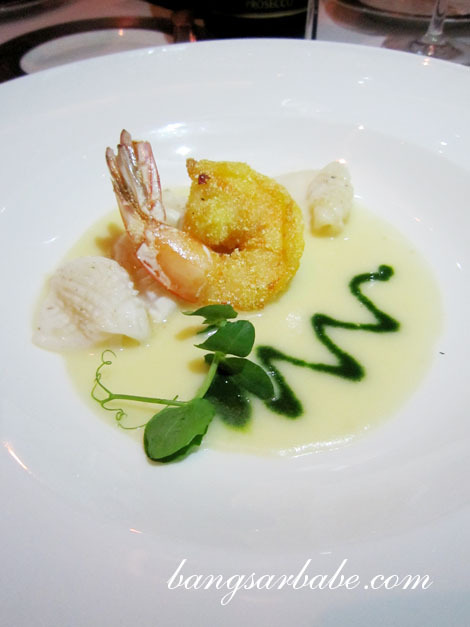 I thought the thick and smooth ginger and potato sauce complemented the seafood nicely. 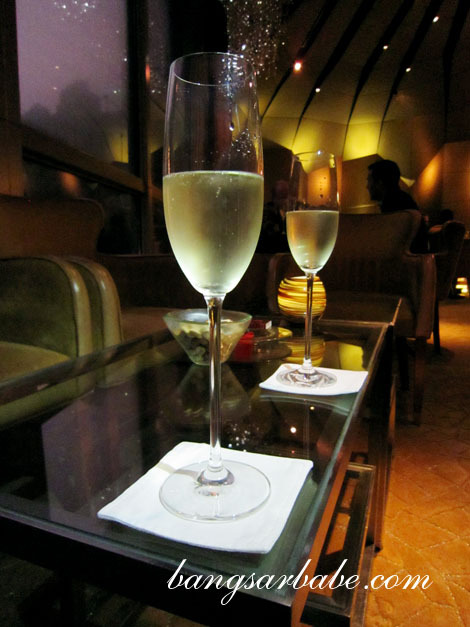 This was paired with the Danzante Prosecco NV; dry yet well balanced with a smooth, lingering finish. The lobster cappuccino came in a coffee cup and a side of salted croissant. I enjoyed the broth – creamy and rich – with large chunks of lobster. 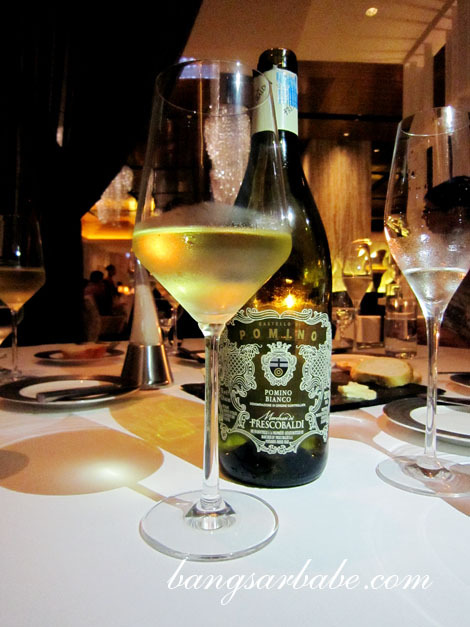 The Marchesi de Frescobaldi Pomino Bianco DOC boasted a straw-yellow hue and fruity aroma with a lengthy yet refreshing finish. 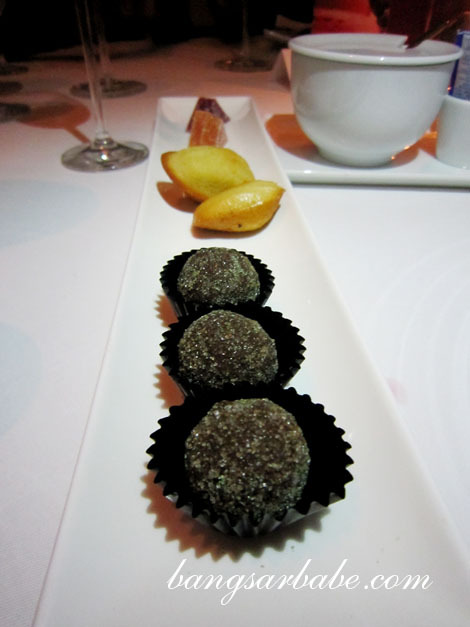 Igor’s Piedmont cheese risotto, coffee powder and black truffle came topped with a slice of beef carpaccio. 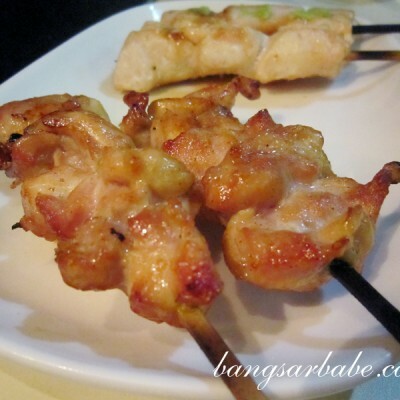 Unbelievably simple but delicious. I thought the combination of coffee powder and black truffle worked wonderfully. Definitely a comfort dish, albeit an expensive one! 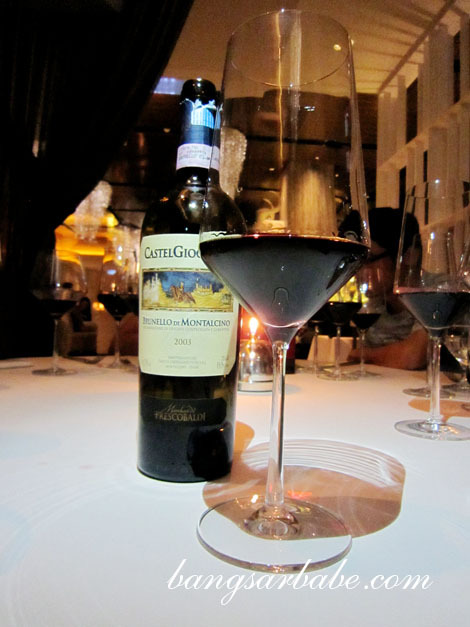 The Marchesi de Frescobaldi Tenuta di Castiglioni was deeply fruity and went well with the Piedmont cheese base. I enjoyed two glasses of Marchesi de Frescobaldi Nipozzano Riverva Chianti Rufina Riserva DOCG (91 points in the Wine Spectator, year 2007) with the pan-seared red snapper on green pea sauce and grilled endive. The fish was firm with crispy skin, large flakes with a moist centre. 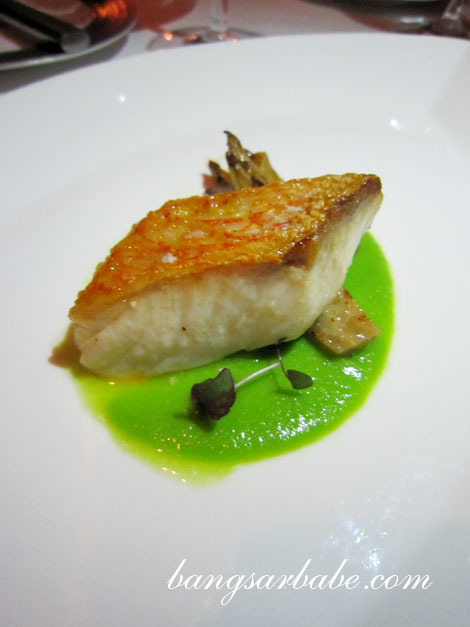 The green pea sauce enhanced the natural flavour of the snapper and I liked how tender the endive was. 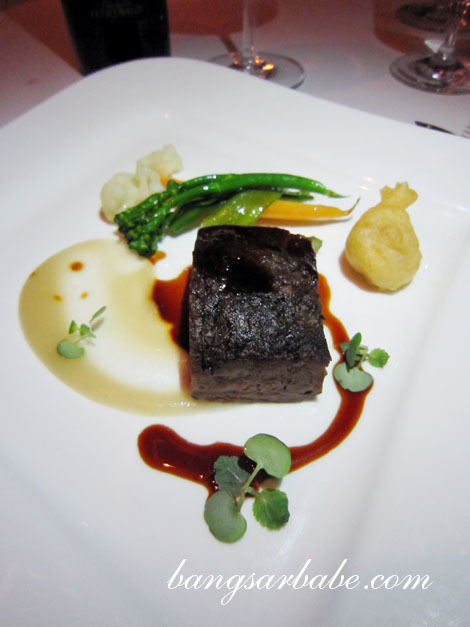 Our main course was the braised beef cheek with tonka beans flavoured green apple and vegetables. The beef was meltingly tender and fell apart at the gentle prod of my knife. Delicious, but unfortunately too tiny for someone like myself. 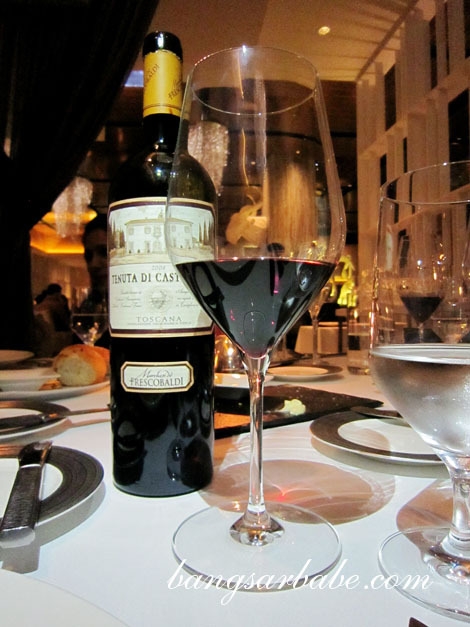 That said, the accompanying Marchesi de Frescobaldi Castelgiocondo DOCG Brunello di Montalcino boasted a powerful nose of plum and currants, with subtle tannins and a long, smooth finish. 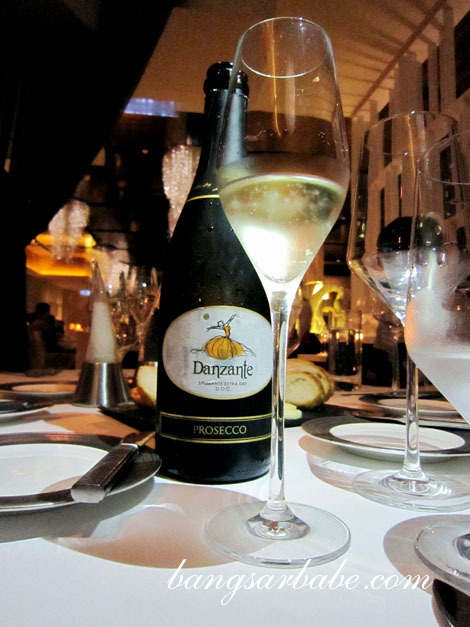 This scored 95 points in the Wine Spectator, year 2001. Well deserved! 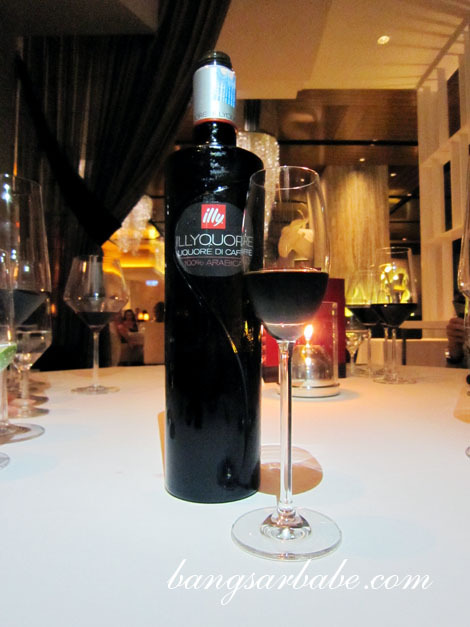 Dessert was a chocolate mousse with fried spaghetti, accompanied by a glass of digestif – Illy coffee liqueur. 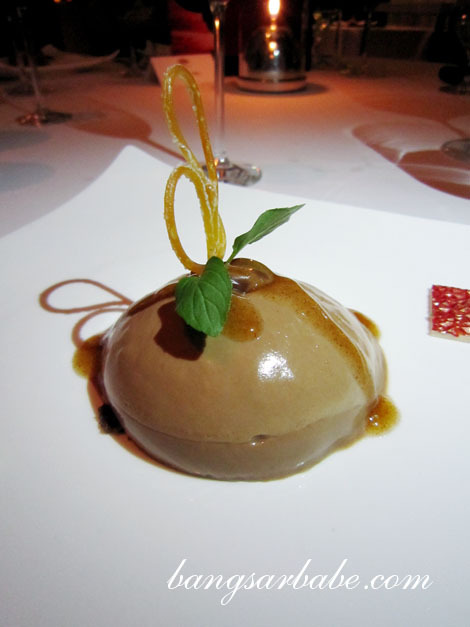 The mousse was justly rich and not overly sweet. Good stuff! I also enjoyed some petit fours with a cup of coffee and a photo op with both Igor and Erika. 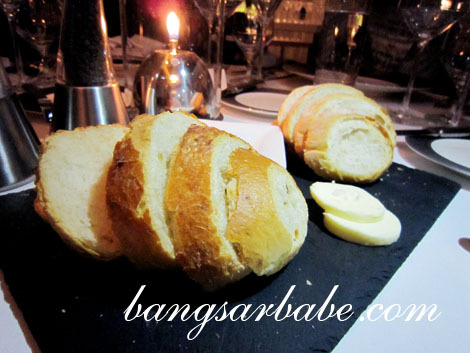 Despite how simple the dishes were, I was impressed with Igor’s clever play of textures and flavours. Erika’s selection of Frescobaldi wines paired perfectly with the dishes. Definitely a meal to remember! Verdict: Simple, unadulterated flavours all paired in harmony. Hehe the beef cheeks was damn yummeh hor. And you know wines so well! The mousse and the shrimp look delicious! 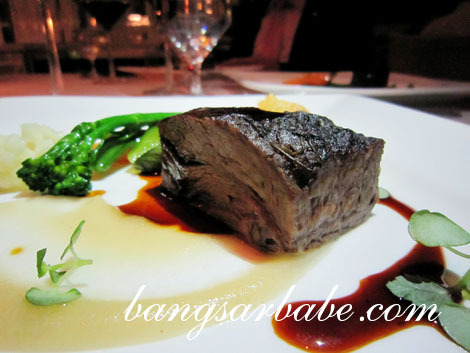 mmm, the beef cheeks look great. it’s been ages since i had beef cheeks! 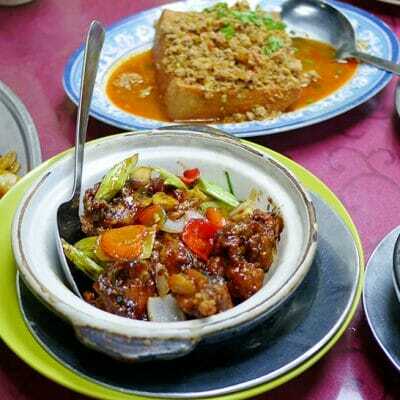 Although the portion was so small for very dish but can be quite full after the whole course right? i want coffee and lobster too! this combo piques my curiousity!